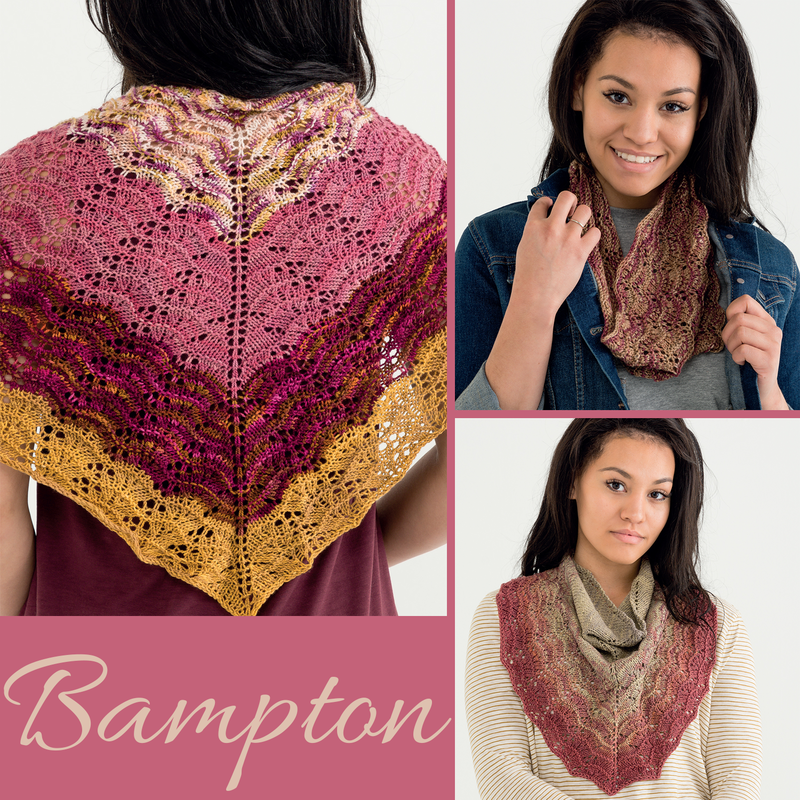 The final set in my new book, Stunning Stitches, is the Bampton Set. Another one of my favorites (I feel like I've been calling all of them my favorite. haha)! This set uses a combination of Done Roving Yarns and Yarn in the Box yarns. 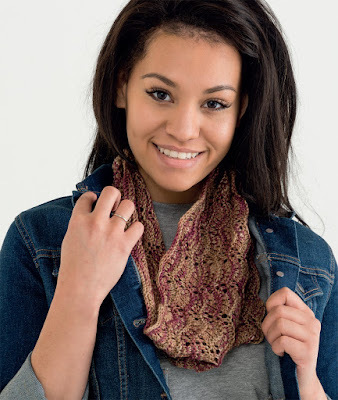 A small feather-and-fan stitch pattern is perfect for these yarns, especially because many of them are variegated. The set begins with the Bampton Shawl, a traditional top-down triangle shawl. 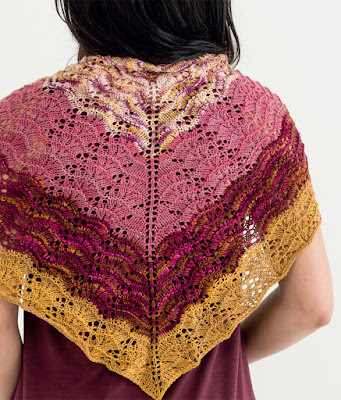 I used the popular Done Roving Frolicking Feet Transitions for the shawl. I think it works great for the chevron pattern. Then there is the Bampton Cowl. A simple cowl, just the way I like it. Finally, there's the cowlette. 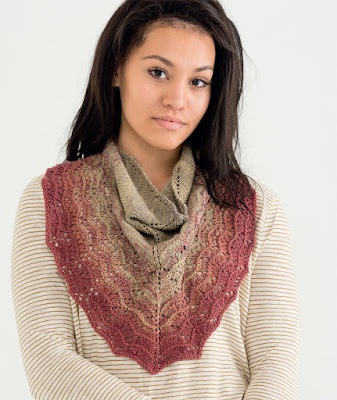 I've been hearing from so many of you that you're knitting this one first. I don't blame you - it's one of my absolute favorites from the book too! That's it for the Stunning Stitches Blog Series! I hope you enjoy the new book! Be sure to hop over to my Ravelry group and watch the announcements thread, I'll be starting a KAL for the book soon!